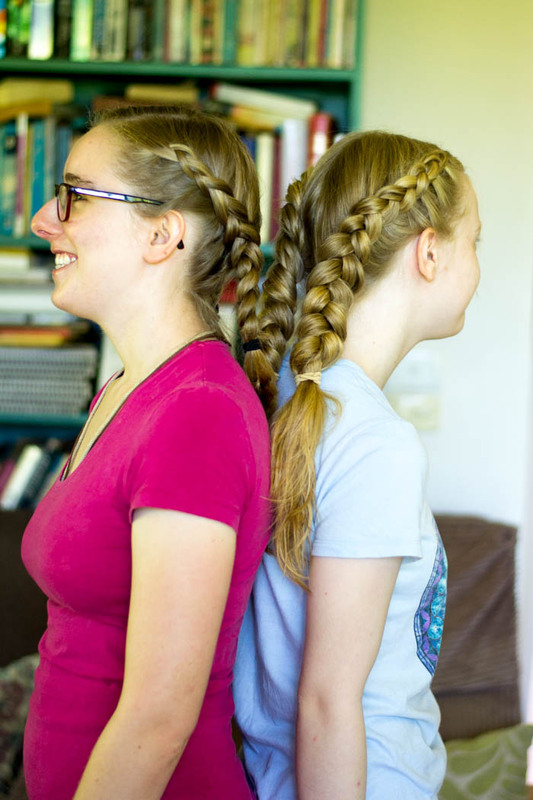 I finish braiding my sister Charlotte's hair and step back to inspect my work. 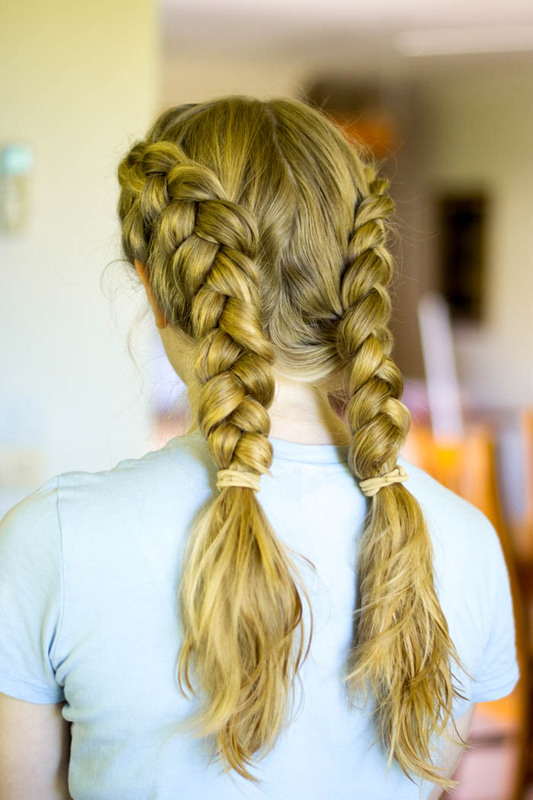 Two dutch braids stick out behind her head. They look really cute. "You suit that hairstyle," Gemma-Rose comments. Mum nods. "You should wear your hair like that more often." I have an idea. 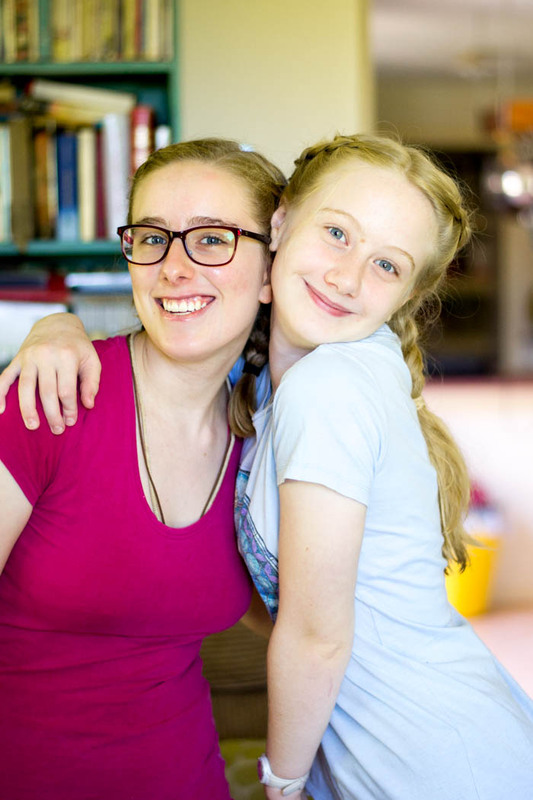 "I could teach you to braid your own hair," I offer. Charlotte hesitates. She's never braided hair before. "It's really easy," I assure her. Gemma-Rose agrees to let me demonstrate in her hair. I select three strands of hair and I show Charlotte what to do. "Can I try?" Charlotte asks after a minute of watching me. I nod and pass the strands to her. Charlotte takes a deep breath and starts to braid. Every so often I give Charlotte a piece of advice. She doesn't need much. She's picking up dutch braiding very quickly. The dutch braids look amazing, much better than my first braids. 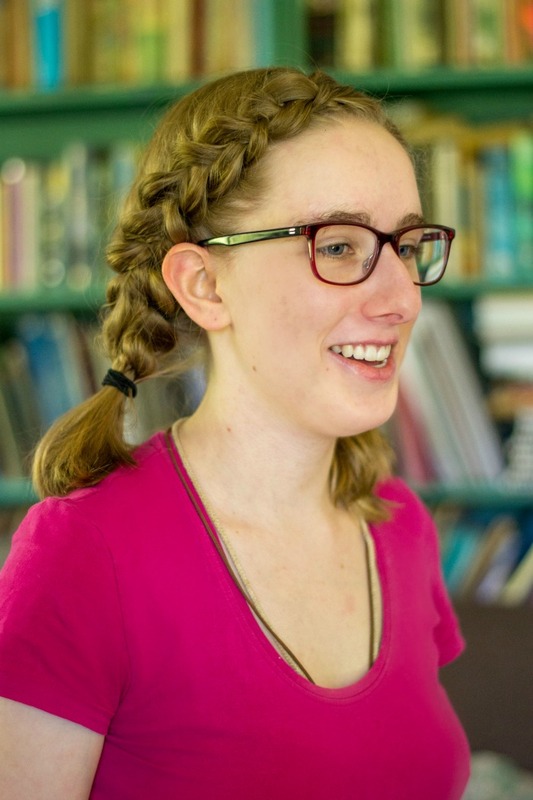 "I'm going to try braiding my own hair," Charlotte says. She takes out the braids I did on her and starts redoing them. It's not long before she's finished. "They look amazing," I cry. "Good job. You picked that up really quickly." Now there are two hair braiders in my family. Can you braid hair? What is your favourite hairstyle? Mine's a side braid. Also, last week I uploaded a new video to my YouTube channel. It's about how I bought my DSLR using loose change. 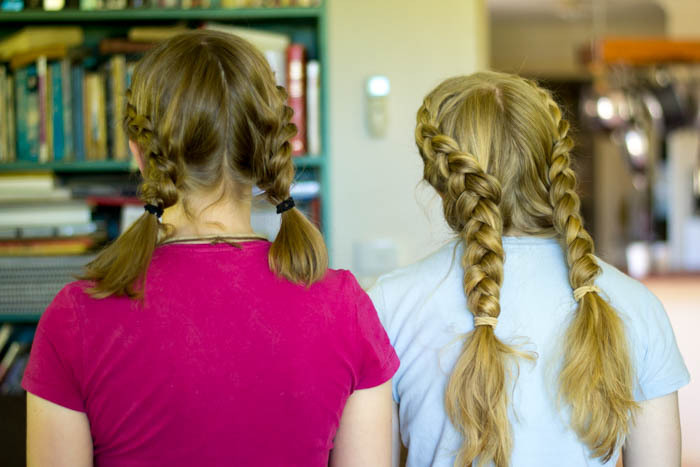 You and Charlotte are very good at hair braiding! I only know how to do a three strand braid and a fishtail braid. I used to braid my hair a lot but now I can't since I have short hair. Thank you! I love fishtails. They're one of my favourite kinds of braids. I like to play with hair so I do everyones hair if they want it doing which is not most of the time. But I braid my own hair, often so that it goes all around my head and I tuck the end in underneath where it began. That sounds beautiful! I've never tried that hairstyle. I'll have to try later. Thank you for the idea!